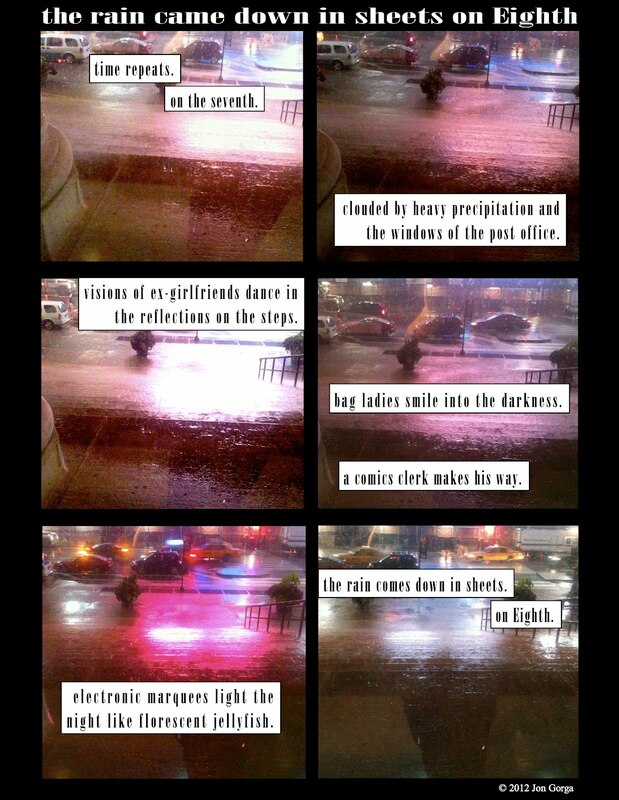 COMICSMITHY: Gorga's Thoughts Dix-Sept: "the rain came down in sheets on Eighth"
Gorga's Thoughts Dix-Sept: "the rain came down in sheets on Eighth"
So this is me doing "A Softer World". Sort of. Because they're amazing. It's also me doing Tom Waits. If that makes any sense. Because he's also amazing. "Small Change (Got Rained On With His Own .38)"
Next, less about me. Finally. Did you bring your galoshes? Well, would that really have helped me wade through the puddles of my soul...?